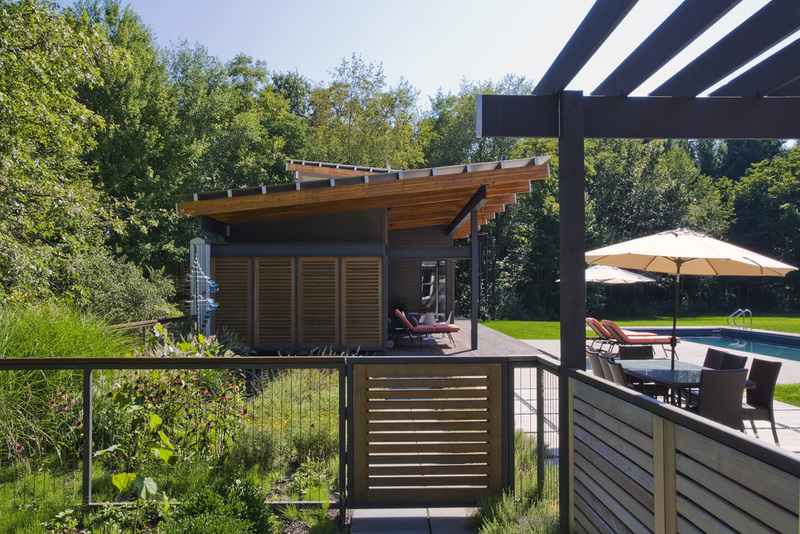 The Sawyer pool house provides a complementary auxiliary building to the previously built vacation house owned by a Chicago based client of Nicholas Design Collaborative. Along with the existing house, the pool house helps to define exterior space centered on a new pool. The pool house presents a stylistic counterpoint to the traditional main house, but uses a similar material palette. 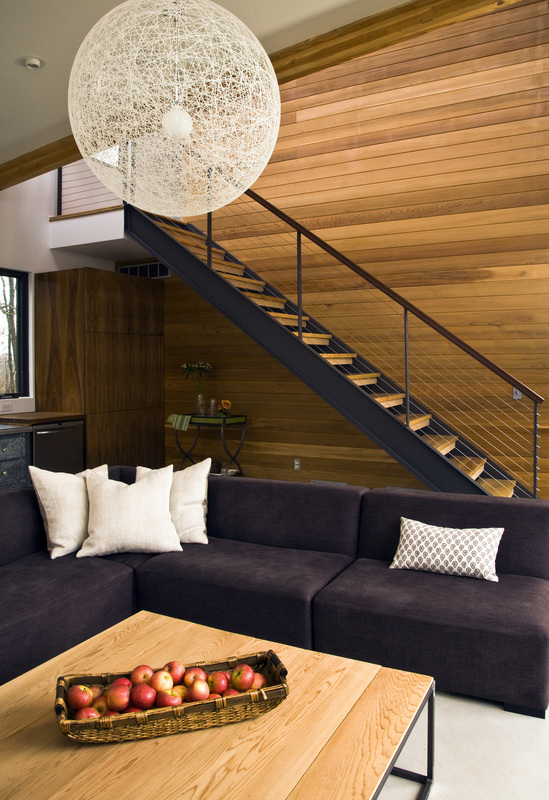 The pool house contains a Living space and kitchenette, a bedroom suite, an art studio and a large bunk room.